Mediabase, an airplay monitoring service from RCS, and BuzzAngle Music, a music consumption analytics firm, have announced a long-term partnership with Saga Communications. As part of the agreement, Mediabase and BuzzAngle Music will provide Saga with comprehensive music listening and data for more than 130 radio stations across the U.S.
"Mediabase and BuzzAngle have proven to be essential tools for our many markets and programmers over the years," said Saga Communications VP/Programming Bob Lawrence. "When presented with the opportunity to put them in our arsenal on a group-wide level, we simply could not resist." 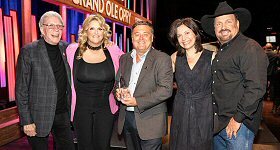 "We couldn't be more thrilled to be chosen by the very talented programming team at Saga Communications," added Mediabase President and RCS Worldwide President/CEO Philippe Generali. "This partnership will expand the list of markets covered by Mediabase nationwide, and complement it with the BuzzAngle sales and streaming data for all Saga stations. It's a real win-win." "Mediabase's airplay monitoring and BuzzAngle's extensive consumer analytics is a powerful combination for programmers," said Border City Media Jim Lidestri. "We're delighted to partner with Saga to give them the most comprehensive tools to connect with and engage their listeners through music."